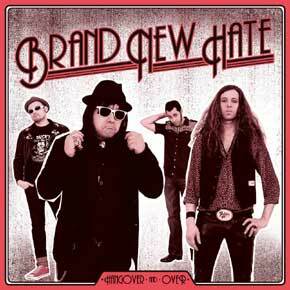 While the band’s name suggests a big BACKYARD BABIES influence, BRAND NEW HATE actually sounds more British, in a QUIREBOYS/FACES way: Raspy voice, STONES guitars and the good ol’ occasional piano! Good old classic rock’n’roll (“Lose Your Teeth”) and ’77 glam punk rock’n’roll get along perfectly on this record, a tribute to all rock’n’roll heroes (“A Band On The Go”), but also an album on which you’ll find great original songs like “I Need a Hand” or “Feelin’ Bad Feels Good”! Rock’n’Roll with a big R./Laurent C.